A week ago, I was on my way to teach my Fear & Writing workshop for the first time for the Seattle Public Library’s Seattle Writes Program, and I was scared. For several years I had attended Seattle Writes workshops and enjoyed them. I figured that until I had “made it” as an author, that I’d always be a student in these workshops and not the teacher. 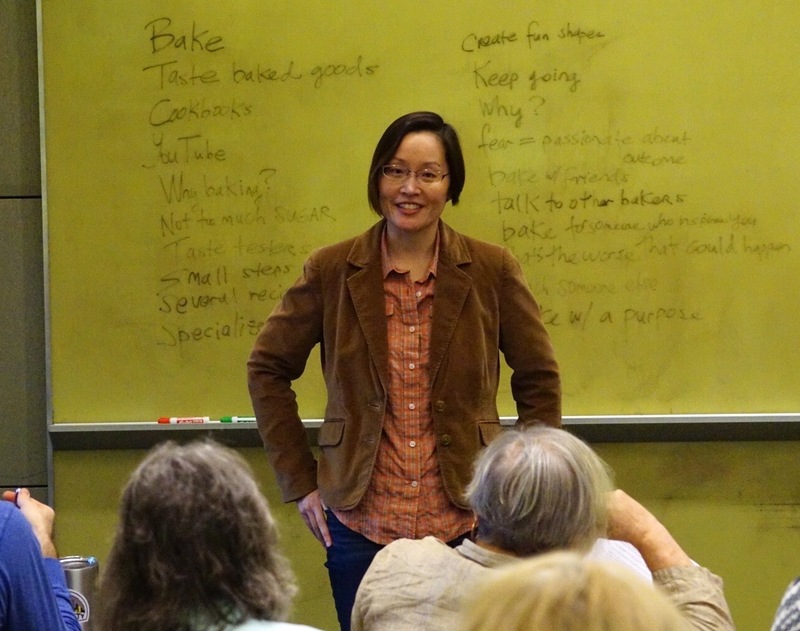 So, when I was asked by Linda Johns, author, librarian, and Seattle Writes Coordinator, to teach a workshop this year, I was surprised, thrilled, and very nervous. I had self-published four books (one novel and three prelaw guides), but by no means had I “made it” as an author. I loved teaching but I feared that no one would show up. I feared that people wouldn’t understand what I had to say. 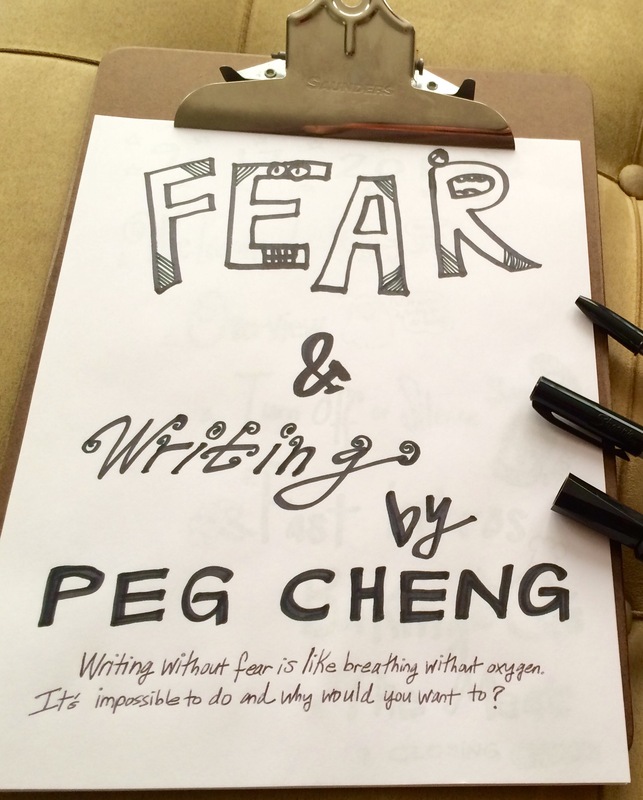 I feared that I might not be ready to teach a workshop on fear. Ironic, isn’t it? I knew Linda was taking a chance on me and I didn’t want to let her down. In the car, driving with my husband Marcus to the Greenwood Public Library, I prayed that 15 people would show up. 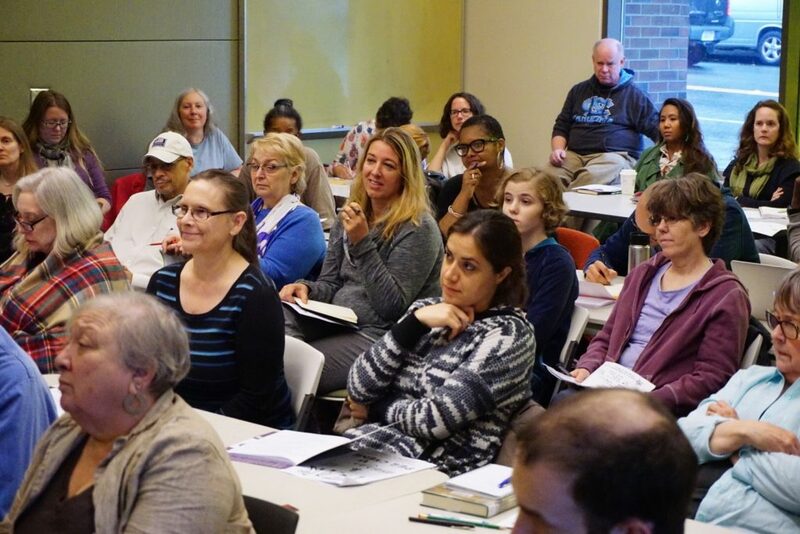 That’s a great number for a free writing workshop on a Sunday afternoon, especially when the Seahawks are playing. Marcus encouraged me by saying that no matter how many people showed up, that was the right number. I agreed and did my best to keep my expectations low and my nerves steady. “Are you all here for the Fear & Writing workshop?” I asked. At that moment, I wanted to let out a loud “Yaaaaaaasssss!” and high-five Marcus. Instead, I nodded and said, “Oh, great. So glad you’re all here.” Then I exchanged a knowing glance with Marcus, and we started setting up. That half hour was incredible. People kept steadily streaming in. Soon, the room had 30 people, 40 people, and still, people kept coming. We didn’t have enough tables and chairs so I asked the librarians if we could get more. The librarians and staff hustled to bring in flip desks, round tables, even a triangular table to supplement the standard rectangular tables we already had. They even brought in large coffeetable books and passed them around as hard writing surfaces for the people who did not have a table. When we reached 54 people–yep, 54–I told librarian Erin that I thought we were at capacity–any more people and the ones that were already there would be too crowded, too uncomfortable. She decided it was time to lock the door. We could get out, but no one else could get in. My first workshop for the Seattle Public Library’s Seattle Writes Program had, in effect, sold out. In theatre terms, we were SRO or Standing Room Only. I could barely contain myself. Just that morning, I had sent out a post about closing my writing coaching business. I wanted to shift away from one-to-one client work and move toward classes and speaking gigs. It felt right when I wrote it, but then, all my fears and doubts rushed back in as Marcus drove me to my workshop a few hours later. People laughed. And we were off and running. Together, we discussed and tried techniques that I used all the time to deal with fear. I wasn’t sure if people would meditate with me. But, they did. I wasn’t sure if people would jump into the freewriting exercises. But, they did. I wasn’t sure if people would read their writing aloud in front of strangers. But, they did. I realized that the people that came to my workshop were my people–people willing to learn, people willing to engage, people willing to be vulnerable. I could not have asked for a more awesome group of writers. They may all have had some fears about writing, but it did not show that day. As the two hours came to an end, I felt invigorated, and I hoped all the writers in the room felt the same. It did not matter to me anymore whether I had “made it” as an author. That day, I had made it as a writing teacher, and I was happy. There was no room left for fear. I want to give HUGE thanks to Linda Johns, Seattle Central Library librarian and coordinator of the Seattle Writes Program, Greenwood Public Library librarians Erin Moehring and Jessica Faught, the staff at the Greenwood Public Library, my husband/workshop assistant/photographer/cheerleader Marcus Donner, and again, all the wonderful writers that showed up for my workshop. Thank you, all! Peg, the universe *is* sending you a message. i enjoyed your workshop! And I enjoyed “meeting” you. I think you are very honest and nice. By the way, I know Marcus from BHS though he was my brother’s year, not mine. Thank you, Sarah! I’m so glad you enjoyed the workshop, and also that you think the universe is sending me a message too. Marcus told me after the workshop that you and he went to Bellevue High together. That’s so cool. Thank you for coming to my workshop. I look forward to our paths crossing again and getting a chance to shake your hand and “meet” you. Thanks, Peg. A great post! Glad it went well! Thanks so much, Jerry! Glad you enjoyed the post. So great to see you on my newsletter list. Maybe I’ll see you at a future workshop someday? Thanks for the feedback on the freewriting prompts. Good to know that you liked the 2-minute spurts. Write on, Elizabeth, write on! Your post just made my day, Iris. Thank you so much for telling me that! I’m so glad that you felt safe and comfortable sharing your writing in our workshop. I enjoyed hearing it, as I’m sure others did too. It took courage to share your freewriting aloud. I applaud you! Peg was incredibly vulnerable in her own story. Fear is hard to admit and she comes right out and talks about hers. She spent the two-hour workshop not just talking about, but demonstrating the tools that have helped her become a more productive writer. The hands-on exercises, writing prompts, and discussion really set her students up to be successful in conquering the biggest obstacles to getting work done: our own fears. I have found, since the workshop that the most valuable information for me was recognizing that the habits and rituals we use to be productive may not look like “writing”, but definitely count toward our workday. I often count the hours where my hands are actually on the keyboard as writing time, and judge my productivity based on that (or word count or page count). Your workshop helped me see that the routines and rituals I’ve put in place are all part of what makes a day productive. When those routines and rituals go out the window, the day is just not as productive. I’m really glad you helped me realize that! I would recommend your class to writers at any stage of their career, who struggle with fear (or synonym: “procrastination”). Everyone -from the aspiring writer who says, “I wish I could start writing” to the established writer who laments, “I’m a published author, why can’t I be more productive?” -everyone can get real value out of your class. It’s so good to read that you realized in my workshop that the habits and rituals you do throughout your work day DO contribute to your writing and productivity. Like you, I find that if I skip my daily self-care habits and get off my routine, that my writing invariably suffers and I’m not as productive. It took me a long time to realize that being a “full-time” writer doesn’t mean typing away at the keyboard eight hours a day. Good writing can be done in half an hour a day or in five hours a day–it’s different for every writer. It was an honor to have you in my workshop, Mary, because I consider you a veteran writer who has been through the trenches. Hearing that my workshop helped you in some way means a lot to me. Thank you, also, for your amazing testimonials. You better believe I’m saving these to use on my site and brochures for future classes. You’re awesome, Mary! Thank you!